I’m a Game of Thrones junkie and my kids feel the same way about Lego. So I’m guessing these Game of Thrones minifigs might just trigger the ultimate battle at our place. Made from real Lego bits (but not an official LEGO company product), they’re a strictly limited and totally awesome set of minifigs from Etsy’s miniBIGS. There’s Ned Stark, his youngest daughter Arya, glorious Mother of Dragons Daenerys Targaryen, John Snow and – my favourite character – the Imp, Tyrion Lannister. 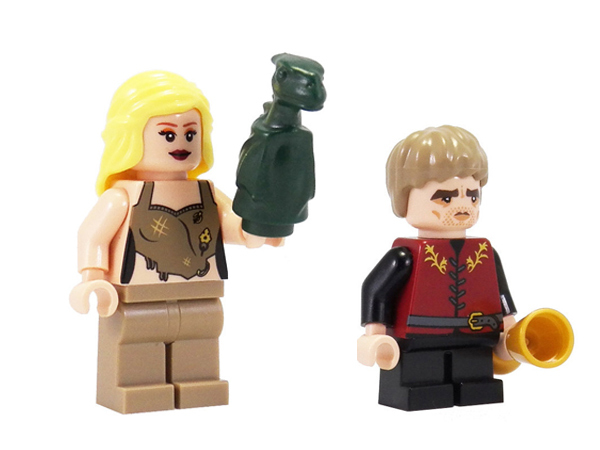 Individual minifigs cost about $17 each or pick up the entire Game of Thrones minifigs set for $77.73. Postage to Australia is available. We hear that miniBIGS may be working on another set of Game of Thrones minifigs. Which characters would you like to see get the minifig treatment?